Get your copy of the Motherload Tote here. 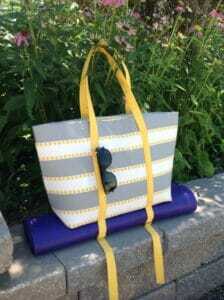 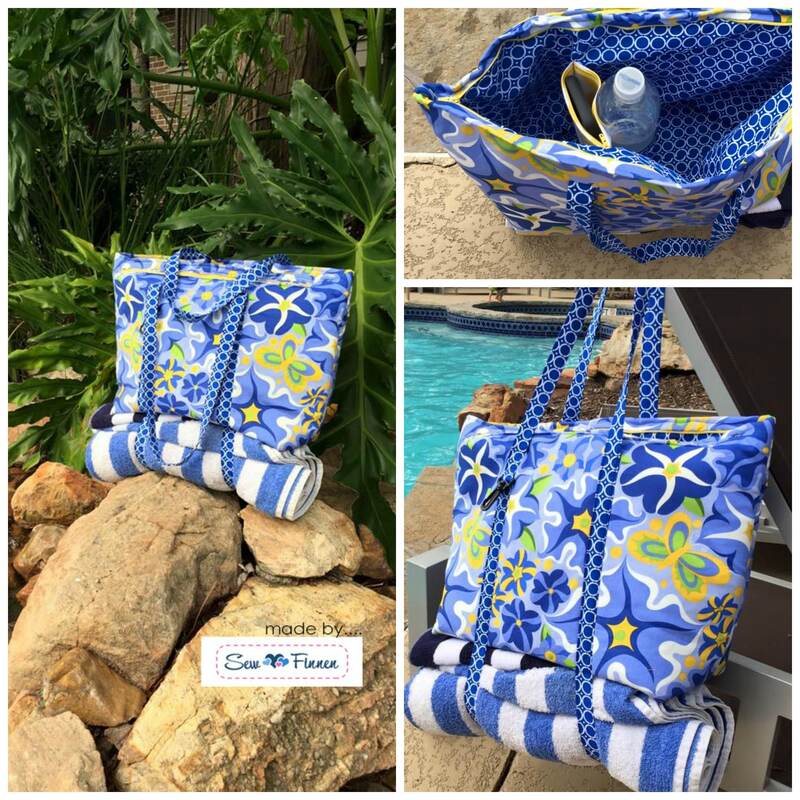 Look at this bathing beauty from Jamie of Sew Finnen! 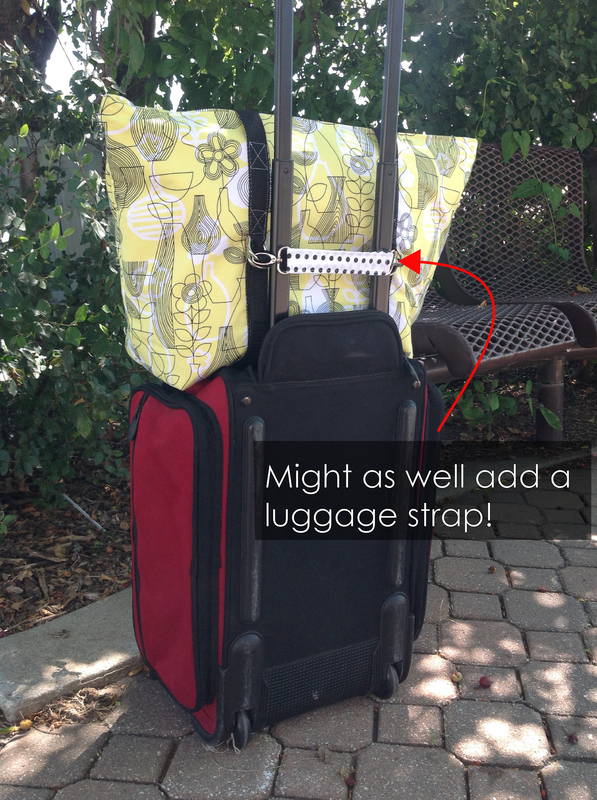 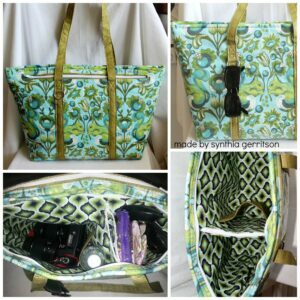 Smart cookie, Synthia, came up with the accessory (sunglasses) holder idea, my favorite part of the bag! 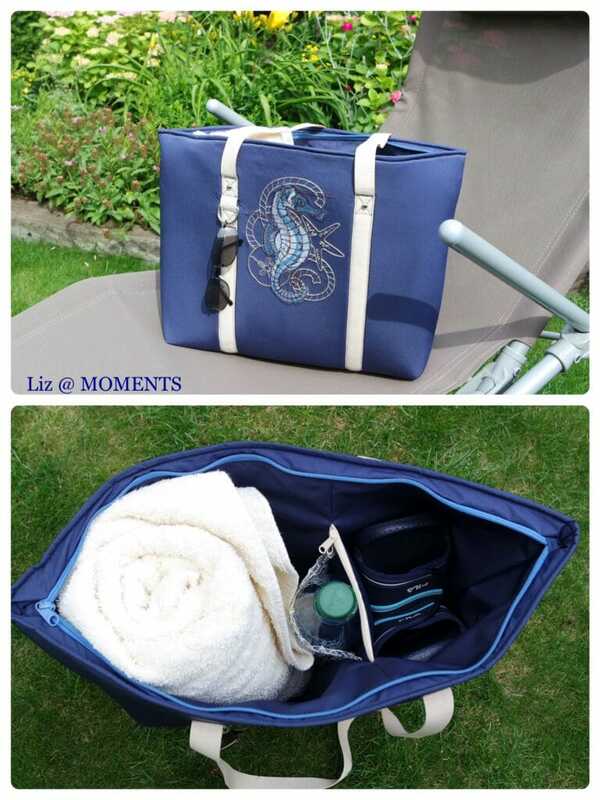 The funny and talented Liz @ MOMENTS created this awesome specimen! 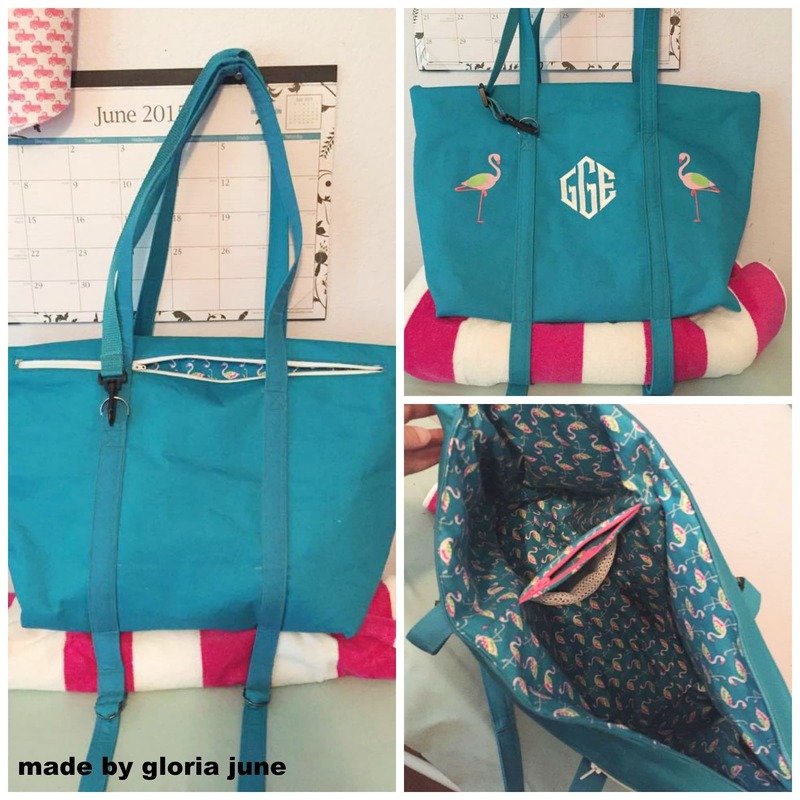 Love the seahorse! 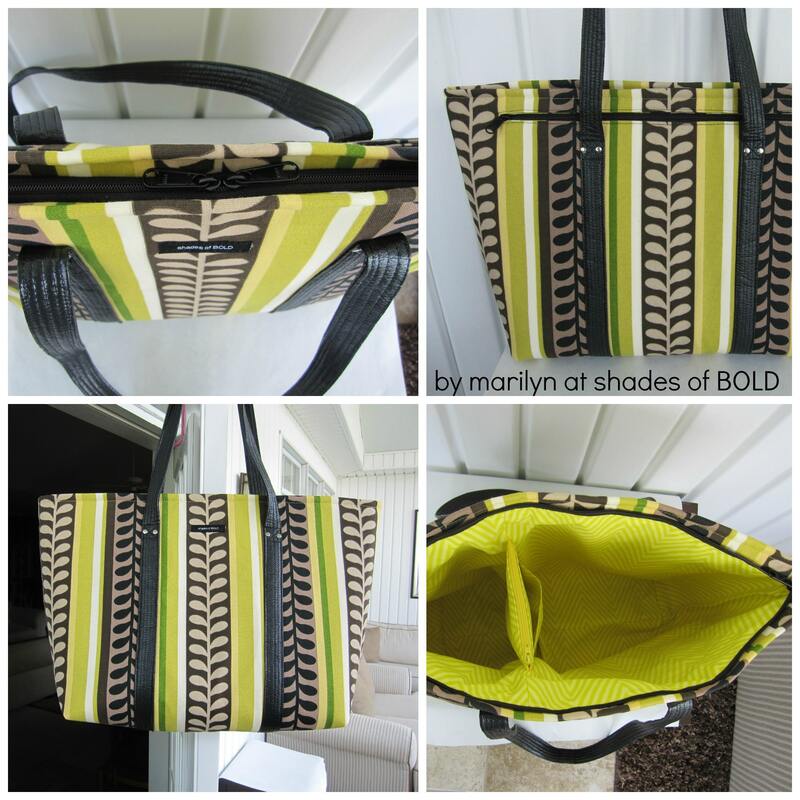 I would steal this bag if I could, Marilyn, your lucky I don’t live near you! 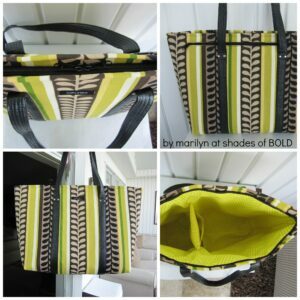 Read about Marilyn’s bag here. Lynn Potts of PottsCrafty chose laminated fabric and even put a second little pocket on the exterior – way to customize, Lynn! 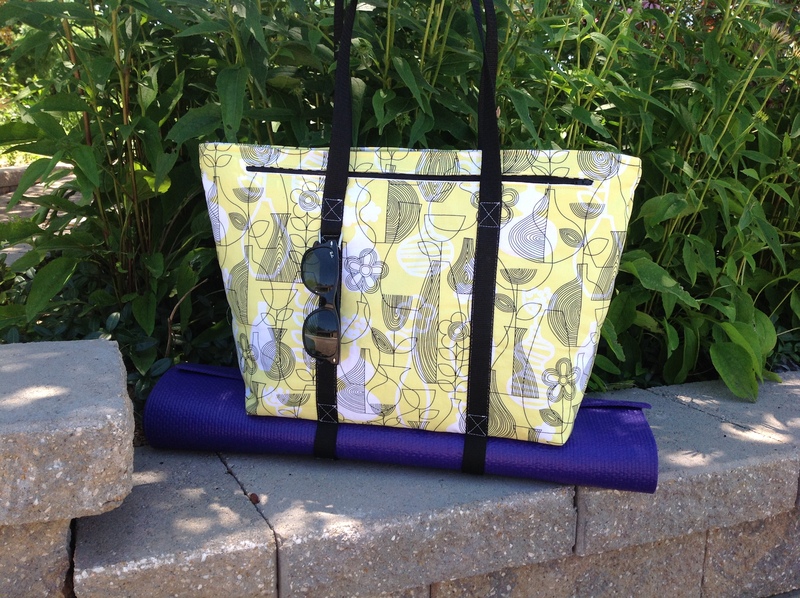 If summer turned into a tote bag – I think this is what it would look like! 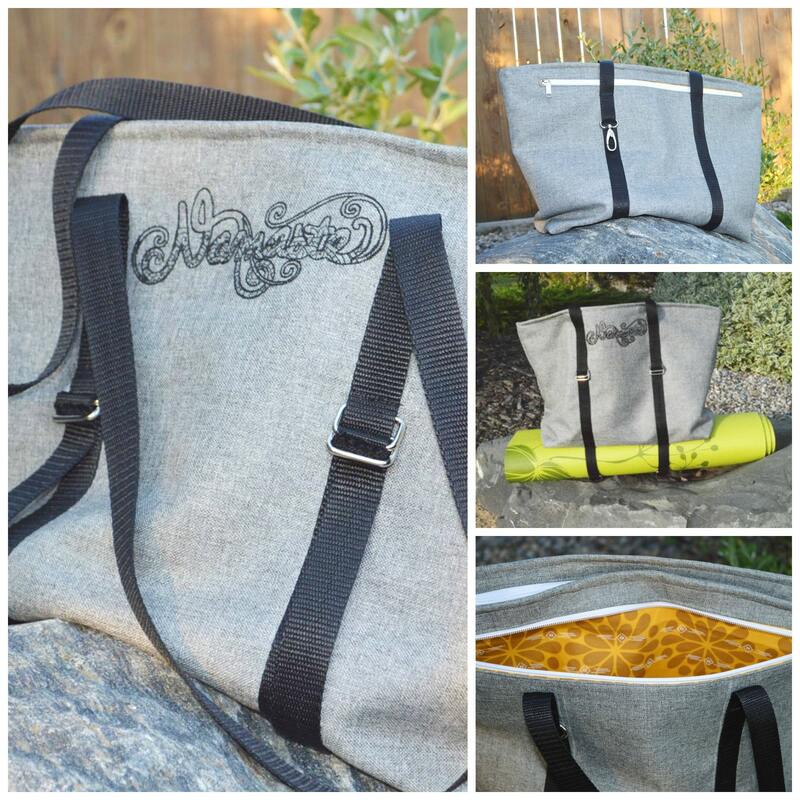 Alyssa from Keep Calm and Carrion always has the coolest fabrics – she didn’t disappoint! 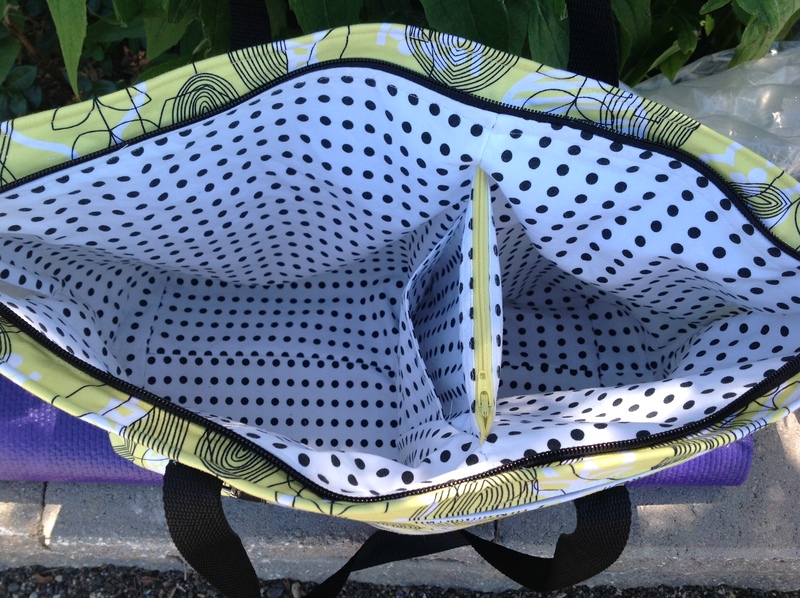 Janice made this great dance bag for her kiddo…what a nice mom! 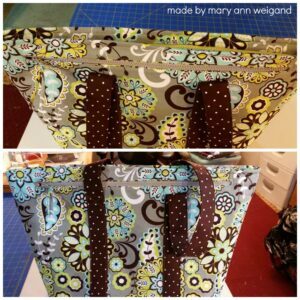 What a cutie from Mary Ann Weigand! 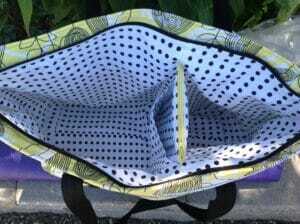 I just love tiny poka dots! 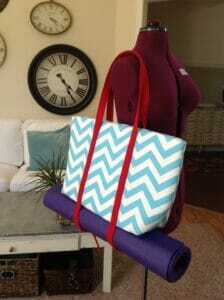 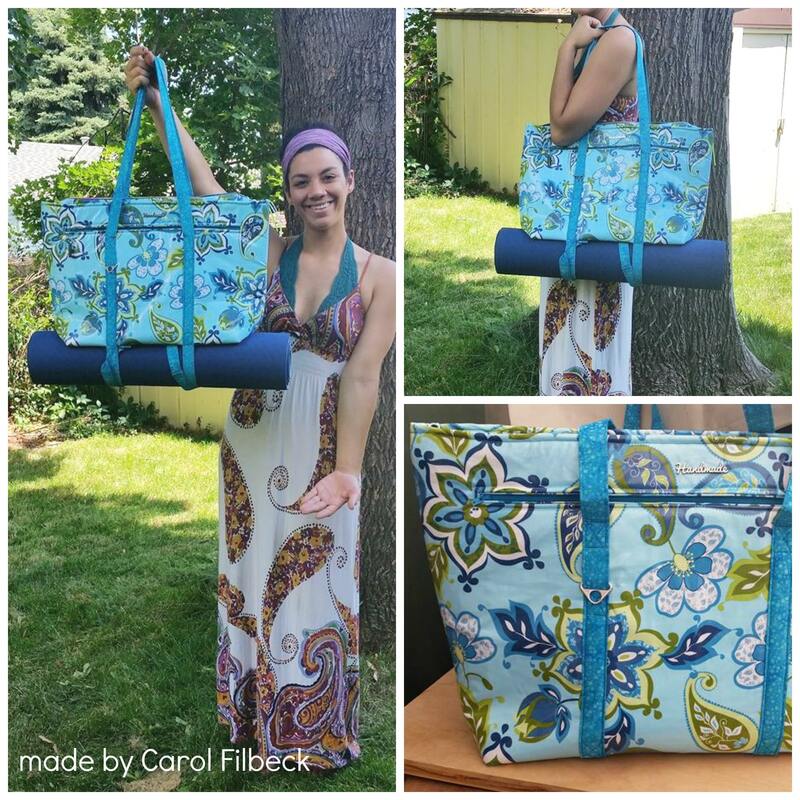 Gwen of gml designs made this zen beauty! 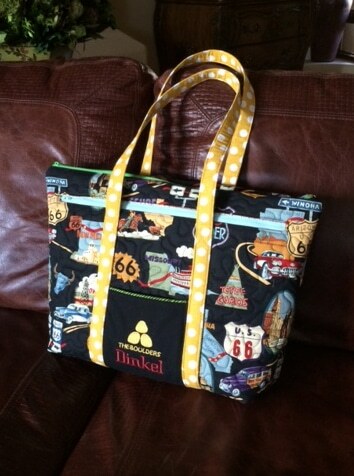 Carol Filbeck made this great bag for her granddaughter; I’d say it was a hit! 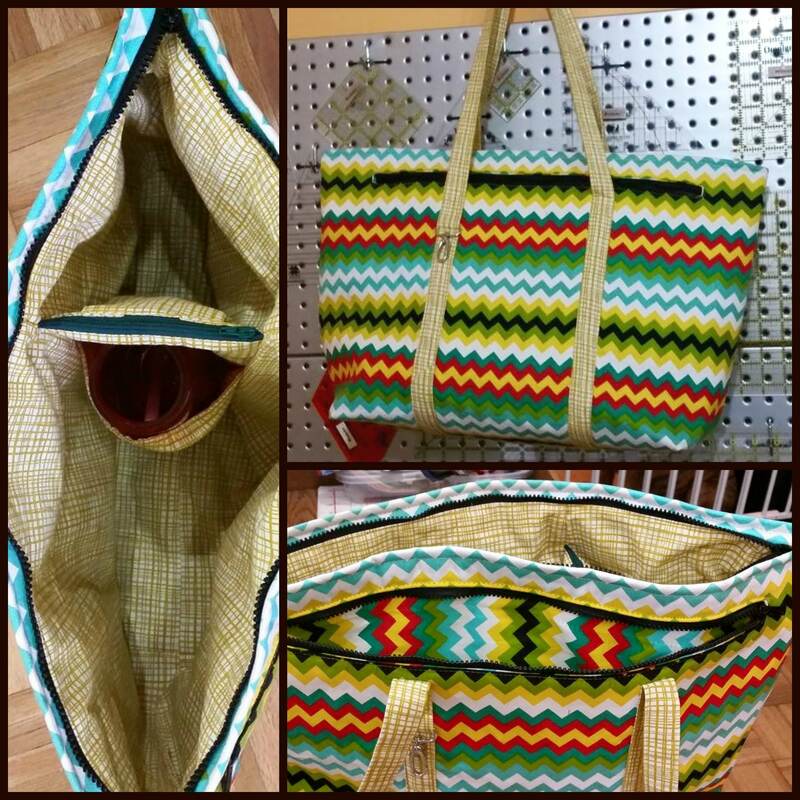 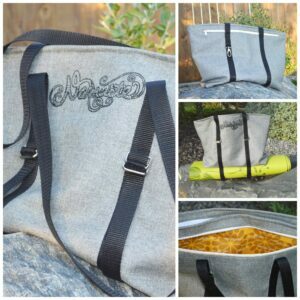 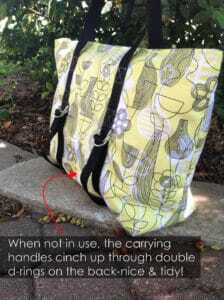 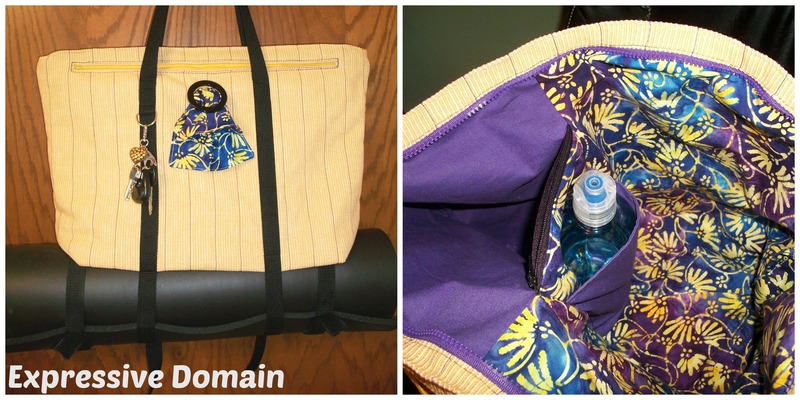 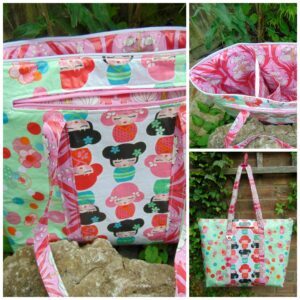 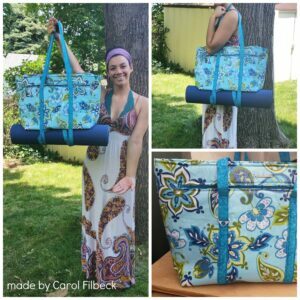 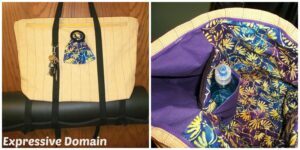 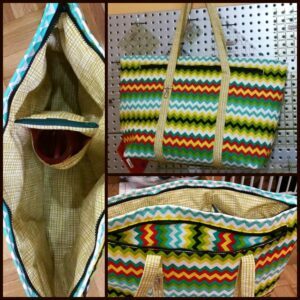 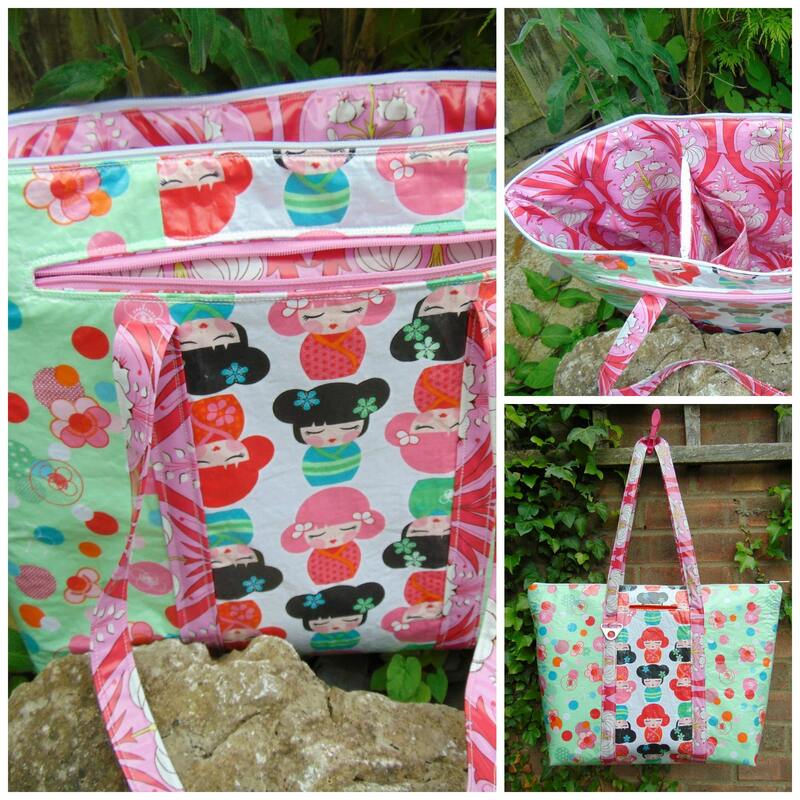 Speedy Patricia of Expressive Domain stitched up her Motherload Tote in a day! 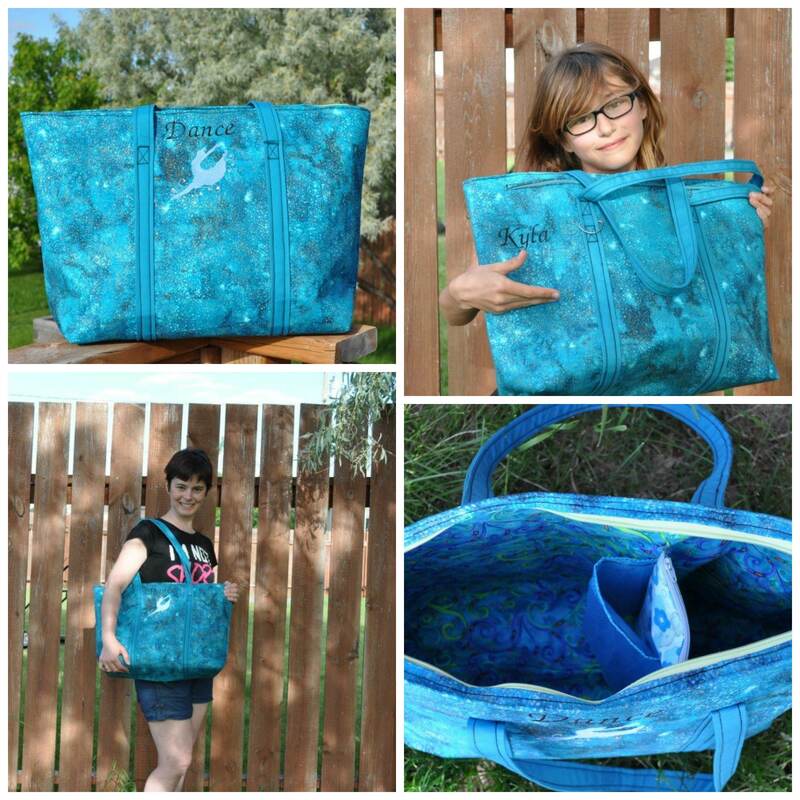 You are amazing, Patricia! 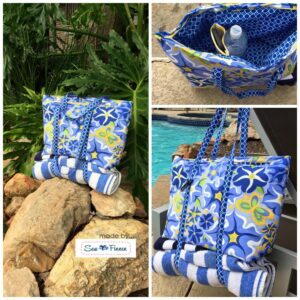 made in an afternoon by Robin Perry! 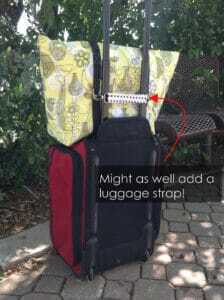 Mary D. sent this one to me. 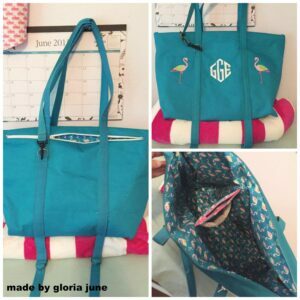 She embroidered the name of her gym on the outside and says she actually excited about going to the gym on Monday – is there nothing this bag can’t do?